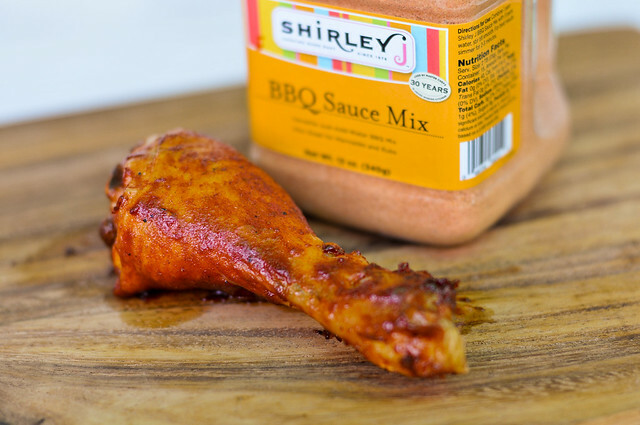 I was excited to try out this Shirley J BBQ Sauce Mix. In all honesty, I wasn't expecting it to stand up against traditional sauces, but I was hoping for more than what I got. It had little more than a faint tomato flavor and kept me wondering where all the other listed ingredients were hiding. This sauce was sent to me courtesy of Shirley J, a food company based out of Utah that specializes in just-add-water soups, sauces, seasonings, and baking mixes. They got their start over 30 years ago when food scientist Don Smith created his Shirley J Universal Sauce, named after his wife Shirley. 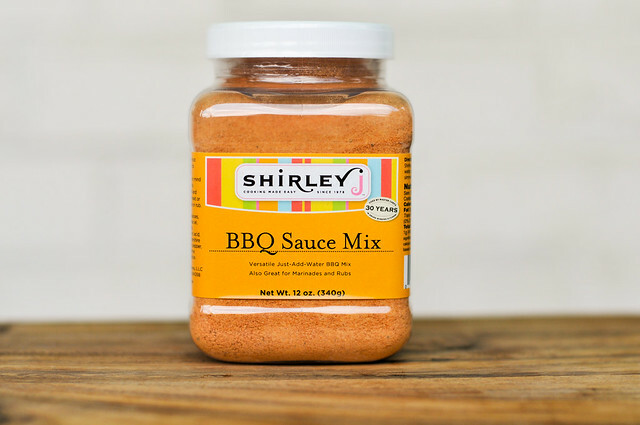 Originally selling to restaurants, schools, and other commercial kitchens, Shirley J has expanded and now sells direct to the consumer through their website with a whole host of products ranging from bread mixes, to bouillons, to this barbecue sauce. This sauce had little that reminded me of barbecue sauce. While the color was there, the smell was of a very faint tomato and vinegar that didn't have a natural feel. There was much to talk of in the aroma department, but what was there seemed off. Looking at the sauce, you could say it resembles a North Carolina vinegar sauce—it's super thin and smooth. This red sauce is about the consistency of water and smoothly flows off a spoon accordingly, with some visible spices. I made this sauce according to the directions on the packaging—1 part mix to 2 parts water, then simmered for 3 minutes to slightly thicken. What I got was akin to a barbecue sauce watered down so much that it most resembled a thin soup. There was a light tomato flavor, but the vinegar tang so ubiquitous for barbecue sauce was nowhere to be found. Nothing else really jumped out in the flavor department and I was left wondering if one note is good enough to even define this as a barbecue sauce. I was all ready for this to fail tremendously on the grill, but to my surprise, it actually held some nice sauce quality. The brushed on sauce stuck to the chicken and baked in, producing a nice reddish hue that was very even due to the lack of caramelization. The flavor also was bit better than I was anticipating, with the cooked sauce having a little sweetness added into tomato base. The taste was still very faint, and the chicken looked like it had more going on that it actually did. 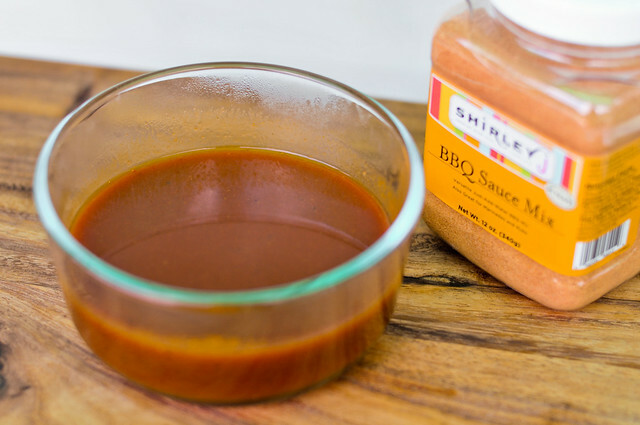 I was excited to try out the Shirley J BBQ Sauce Mix since getting the email asking me to give it a review. In all honesty, I wasn't expecting it to stand up against traditional sauces, but I was hoping for more than what I got—I kept wondering where all the ingredients listed were hiding. 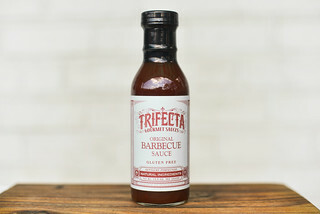 Having an incredibly mild flavor that only faintly resembled barbecue sauce, I can't really recommend this sauce as something you should be seeking out. That being said, the flavor was at least pleasant enough, unlike some other sauces that I've tried in the past. It should be worth noting that Shirley J also sent along a set of recipes for their sauce, some which use it as a rub, marinade, or mix it with other ingredients besides water, and I have not tested the sauce in these ways yet.